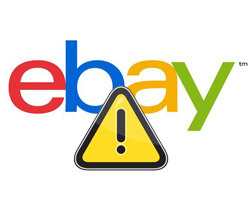 A year after announcing a raft of more stringent picture quality standards, eBay has begun alerting sellers whose images may be in violation when the policy takes effect July 1.
eBay is warning all sellers whose images may not meet the new picture policy requirements. eBay says the emails are meant to help sellers identify specific listings that are problematic, and tell them what requirements are not being met. "We sent notices to all sellers on the site (small and large) informing them of listings which were in violation of our policies. We wanted everybody to understand what was happening and what listings were and were not OK (even if they were ended)," notes an eBay official called Jahan in an eBay discussion forum. "Please do not see this as picking on small sellers. We are trying to treat everybody equally and everybody should have (or will) get the notice." Last week, sellers reported receiving policy violation notices warning that their pictures are too small. Under the picture policy, images posted to eBay must be at least 500 pixels on the longest side. But there are some caveats to the size requirement—and in fact for all the new picture standards—for sellers who list through a third-party service provider. "The 500-pixel minimum size, as well as other parts of the policy, will only apply to the header image and optional eBay gallery images," notes Rebecca Miller, product manager of Auctiva.com. "Images hosted by Auctiva are not subject to the requirements—unless they are used in the header or optional eBay gallery positions." Stock photos can only be used for brand new items, not used items. Don't use borders on your photos. Watermarks are allowed for ownership and attribution, but not for marketing. Of course, eBay would like all images on the site to meet these requirements, but it is giving eBay Store owners with Good 'Til Cancelled listings a "get out of jail free" card. GTC store listings created prior to July 1, 2013, will be "grandfathered" until they are edited or ended. "GTC listings that are created prior to July 1st and are not updated/edited/revised or relisted after July 1st will not be actioned in any way," the eBay representative writes. "The 30-day listing renewal process is not considered a revise or relist action. If the listing is actively changed it will fall into the enforcement scope of improving pictures on the site." The picture policy was originally announced as part of eBay's 2012 Spring Seller Update. What will happen now Ebay says you cannot have a background? How will Auctiva users edit the background? Fine for businesses, yes, but no use at all for the private sellers - who Ebay have been trying to get rid of for years. Some things simply don't photograph well - and some are so well-known, or obvious to the buyer, that a picture is pointless. Take semiconductors; a transistor is a lump of black plastic less than 5mm across. How am I supposed to photograph that, and what good would it do? (They'd be better off dealing with those sellers who have taken a picture but obviously can't work the camera). I'm constantly getting sales from Auctiva for items that are already sold out on eBay, looks like Auctiva does not update their inventory or does not integrate with ebay!??? Some items are small ebay wants a seller to revise those images which projects a much larger item. Ebay dos dide with the largew sellers because JD came fom Bain and Company known for their steal from the poor and give to the rich. It is all about do what Amazon does obsession. The poor decisiond by ebay execs have cause thousands of sellers to leave and believe me the grass is greener on the other side because the problems you have on ebay are NOT happening elsewhere and the fees are substantially lower. I have never had a problem with pictures and my items sold well.